The first time the red flags went up was on page 6 when the authors define and explain phishing. I'm not talking about some very precise definition of phishing that might be valuable in a well-defined discussion among IT professionals here. I'm talking about a definition of phishing I'd give to my parents or my sister. On the following pages, viruses, worms, and vulnerabilities are given the same treatment. Only spam is considered so well-known that it was introduced without any kind of definition and explanation. On page 6 I still thought the target audience of the book are people who have a clue so that shocked me quite a bit. I brushed my concerns aside though and rationalized that this introductory chapter is a typical example of authors who can't decide what audience to write for (a problem I complain a lot about in my book reviews). Unfortunately the level of discourse did not improve in the next chapters and this started to weird me out. 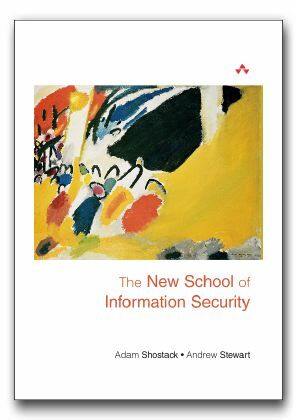 I started to wonder why this book reads like a book I'd recommend to my dad (who does not at all work in IT) to get an idea about IT security. While reading chapter 4 it hit me like lightning. I'm reading a book for pointy-haired bosses. I felt bad at this point because it took me more than 3 chapters to realize this. In my defense I want to say that I've never worked with PHBs before and this is my first (albeit indirect) contact with them outside of Dilbert comics. Now that I've made this clear let's talk a bit about the content of the book. The book is approximately 240 pages long and divided into 8 chapters. Let me state right away that only 161 pages actually contain real content. Where do the remaining 80 pages go? More on that later. The titles of the 8 chapters are "Observing the World and Asking Why", "The Security Industry", "On Evidence", "The Rise of the Security Breach", "Amateurs study Cryptography : Professionals study Economics", "Spending", "Life in the new School", and "A Call to Action". "That approach is the New School: to identify causes of success or failure and..